What’s life without being able to be connected to the world 24 hours. Well, in today’s age nothing, really. So, watch movies, check Facebook every minute and listen to your favourite music or stay entertained without any worries of losing battery. Choose the fuel for your smartphones, tabs, mini speakers, MP3 Players and other digital devices. Syska presents to you one of the most stylish power banks, which is compact, lightweight and amp very efficient. The added advantage of Syska Power Shell100 is that it has 2 USB ports that allow you to charge two devices simultaneously. Isn’t it very useful. 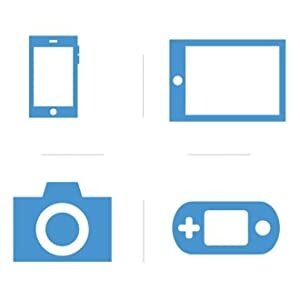 Enhance the Life of your Device! The precise IC protection in Syska power shell 100 helps guard against over-charging, over-discharge or even short circuits. 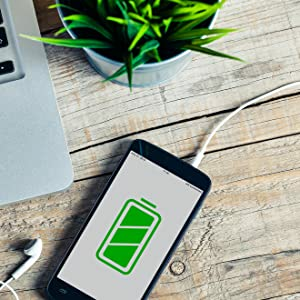 This feature keeps your expensive smartphone, tab, mini speakers and other devices that need to be recharged extremely safe. Discover safety, longer lifespan and unlimited power in one package. 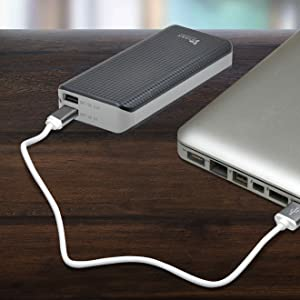 With a battery capacity of 10000mAh, the Syska power shell 100 can outperform most other power banks and help charge your devices much faster. Type C and Dual Charging! 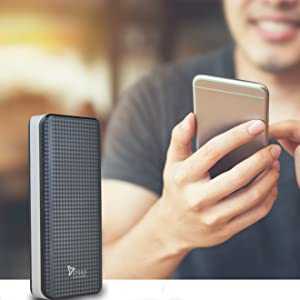 This power bank comes with type C charging which ensures faster charging and more power. It is twice as nice since it has 2 USB ports. 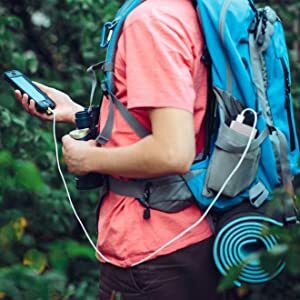 Now you and your friends or colleagues can charge two smartphones, tabs, mini speakers, MP3 Players or other digital devices – simultaneously. 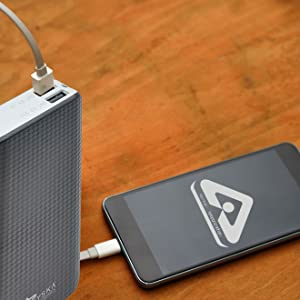 You can easily carry the Syska power shell 100 anywhere, and charge your devices faster. It is lightweight, slim and compact. And although it’s easy to carry, it is extremely durable. You can charge an array of electronic devices. All you need is your power shell 100 and a micro-USB cable. Compatible devices include smartphones, MP3 players, mini speakers and many other digital devices. Charge Power Shell 100 Anywhere, Anytime! You can now charge this Syska power bank anywhere, anytime. 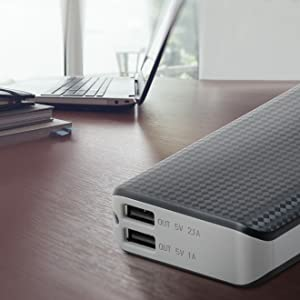 To charge the power shell 100 power bank, connect the micro-USB or USB Type-C to the power shell 100 and the USB to your computer, car-charger or wall-charger.